Flip Out Mama: Win a copy of Call Of Duty Black Ops for Xbox 360! 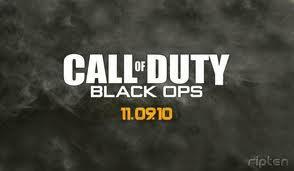 Win a copy of Call Of Duty Black Ops for Xbox 360! Hey everyone! Just wanted to tell you guys about an awesome giveaway going on over at the new Tech Daddy Blog! Once he gets to 150 followers, he is giving away a copy of Call of Duty Black Ops for Xbox 360! Gearing up for some awesome stuff in the next few days! Get ready!